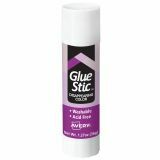 Avery Permanent Glue Stics, Purple Application, 1.27 oz, Stick - Confidently apply adhesive to every spot that needs it with this Disappearing Color Glue Stic. The permanent adhesive goes on purple to show exactly where you've applied it and then dries clear. The fast-drying glue applies smoothly and neatly to paper, cardboard, fabric and photos, making it ideal for arts and crafts. Glue washes out of clothing. Nontoxic formula is acid-free and archival-safe to protect photos. 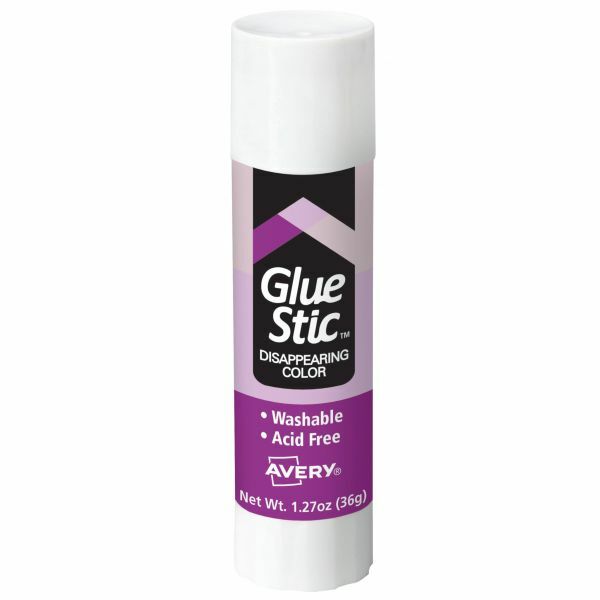 With this Glue Stic, you can apply glue without leaving a visible trace.